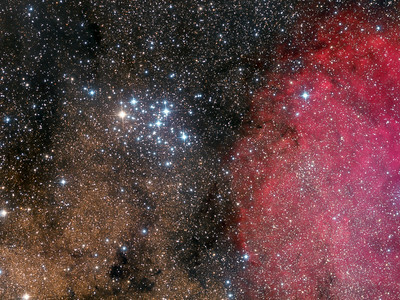 NGC 2451 (right) and NGC 2477 (left) are a gorgeous couple of clusters in the costellation of Puppis. 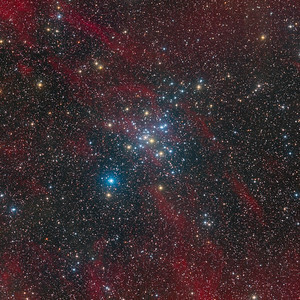 NGC 2477 is a glorious open cluster grouping over 300 members in an area almost as extensive as the full Moon. 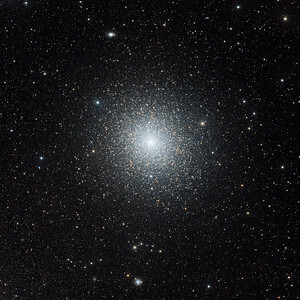 It has been called "one of the top open clusters in the sky", like a highly resolved globular cluster without the dense center characteristic of globular clusters. 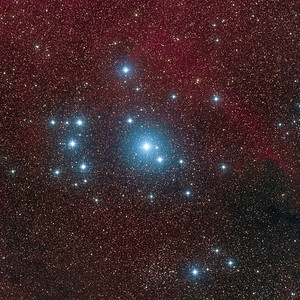 Although it is smaller than M46 (also an open cluster in Puppis), it is richer and more compact. 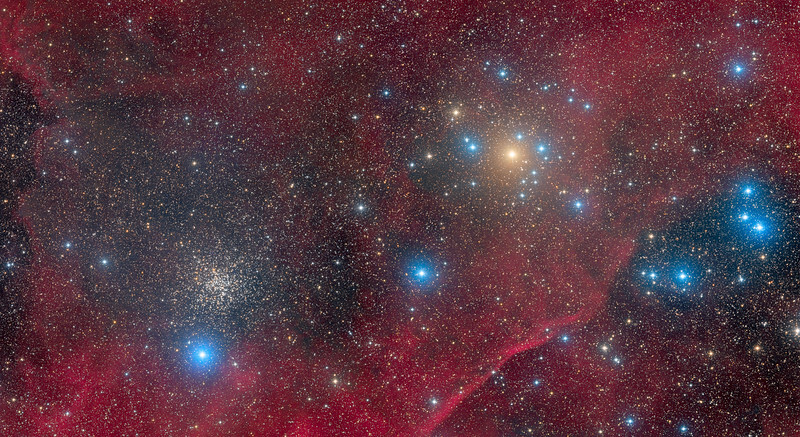 It was discovered by Abbé Lacaille in 1751. 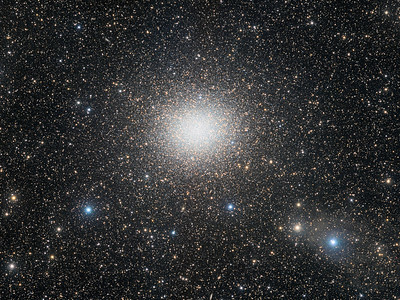 NGC 2451 is far closer and sparser compared to his compact neighbor and has around 40 stars well dispersed with its brightest star being c puppis, a yellowish giant of magnitude 3,6. 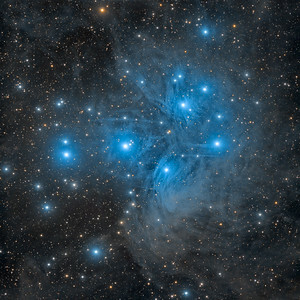 The cluster was discovered by Giovanni Batista Hodierna in 1654. 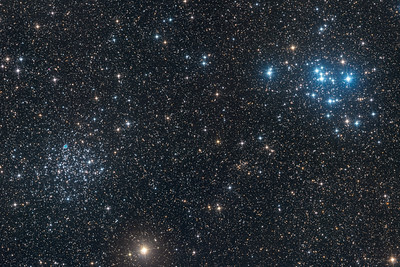 Only in recent years it was confirmed that NGC 2451 was actually two open clusters that lie along the same line of sight, labeled NGC 2451A and NGC 2451B, located at distances of 600 and 1,200 light-years respectively. 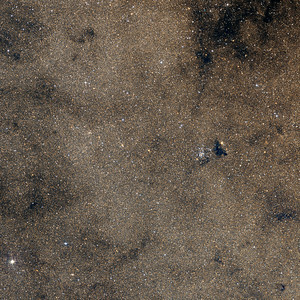 The sky background is filled with faint Hydrogen emission of the GUM Nebula, giving the whole area a nice contrast. 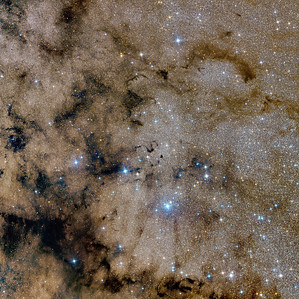 Named after Colin Gum, a late Australian astronomer, the Gum Nebula is an huge emission region that covers over 40° of the sky. 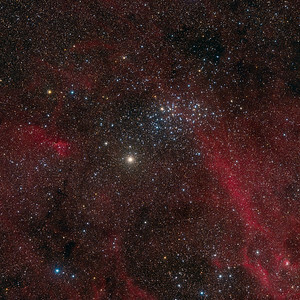 It is believed to be a still expanding remnant (or remnants) of one, or more, supernovae that exploded millions of years ago.